Cars have a constant flow of air filtered by the cabin filter that keeps the interior cabin pleasant. 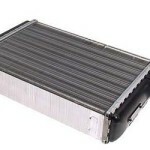 The air can be heated by the heat of the engine or cooled for a desired temperature. With over 46 years of experience, our Advanced Auto repair technicians are equipped to diagnose and repair climate control problems and the many components in the heating system. Stop in at our North Attleborough auto repair center, we are here to help.